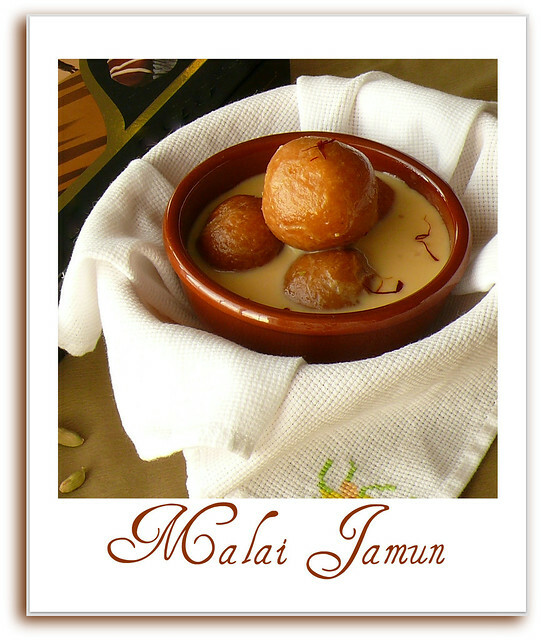 Malai Jamun is a slight variation of the delicious Gulab Jamun. Jamuns are first soaked in sugar syrup and then dunked in malai. A combination of condensed milk, evaporated milk & whole milk lets our ever popular Jamun soak up in the flavored milk for a creamy texture. I have had this on aboard a Jet Airways flight and I wanted to try this ever since. I personally prefer MTR brand for making jamuns when I choose the ready mix option or you could also follow my recipe here for making Jamuns with Kowa/Khoya. I was a little skeptical on making them for my daughters birthday but I am glad I did. Make jamuns as per the instruction on the pack. Make the sugar syrup, add the cardamom powder and a drop of rose essence. 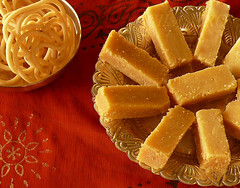 Mix condensed, evaporated, whole milk and 1/4 cup sugar in a heavy bottomed pan. Bring to boil stirring constantly. Simmer on low heat for 5 minutes stirring constantly. Add cardamom powder and saffron. Finally add the rose essence and mix well. Remove Jamuns from the syrup. Arrange in a wide container good enough to hold all the Jamuns. Pour Malai over the Jamuns and refrigerate. Serve chilled. slurrrrrrrrrp! tempting and lovely jamuns. That is a nice jamun recipe with malai! Woww wat a delectable jamuns, cant wait to try soon.. 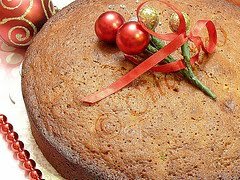 This is completely new recipe to me,sounds sinful and delicious! Very interesting recipe. Thanks for sharing them with us. I have never tried this. Looks very tempting. Wowo looks so so perfect and yumm. Love those Malai Jamuns! Looks perfect. It looks groovy, rich and creamy. I just want to pop them in my mouth. hey..can you pls specify the can measurement for condensed and evaporated milk..coz it comes in different size in market.. The condensed milk is the 14 Oz( I have used half of it ) can and the evaporated milk is 12 Oz. I have updated my list too. Thank you.